"A man's house is his castle." - Sir Edward Coke (1628). "Have nothing in your homes that you do not know to be useful and believe to be beautiful." - William Morris. "If you have marvelous taste and know exactly what you want, you don't need a decorator." - Billy Baldwin. "I deeply believe that a beautiful decor can have a beneficial influence on our lives." - Albert Hadley. "Decorators should always remember that letting a client see too many beautiful things is a pitfall." - Albert Hadley. "Having a comfortable home has been one of my greatest encouragement and comfort in my earthly life." - Søren Kierkegaard. "Decorators should never insist on throwing out everything the client has. Even when they are far from perfect, loved possessions add personality." - Billy Baldwin. INTERIOR DESIGN is a multi-faceted profession in which creative and technical solutions are applied within a structure to achieve a built interior environment. These solutions are functional, enhance the quality of life and culture of the occupants, and are aesthetically attractive. When doing up a house, if you choose antiques and furnishings that you really like yourself, even if the things do not appear at first glance to belong together, and even if they are not valuable or in fashion, the general effect will be harmonious. Taste is always an individual thing. The term INTERIOR DECORATOR emerged in the late nineteenth and early twentieth centuries. It applied to those practitioners who specialize in arranging interiors in various styles. In this context style refers to a composition based on an image of a certain idea, time, place, etc. For example: Victorian, Georgian, Art Deco, Modernist, etc. The term Interior Decorator also suggests a focus on designing the ornamental and the movable aspects of the interior such as the color, furniture, furnishings, moldings and paneling. A helpful way to make the distinction between an Interior Decorator and interior designer is that decorators can work within the walls of a room, while a designer also has the ability to move walls. INTERIOR DESIGNER implies that there is more of an emphasis on Planning, Functional design and effective use of space involved in this profession, as compared to interior decorating. An Interior Designer can undertake projects that include arranging the basic layout of spaces within a building as well as projects that require an understanding of technical issues such as acoustics, lighting, temperature, etc. Although an Interior Designer may create the layout of a space, they may not build the space without having their designs stamped for approval by an architect, which is why many Interior Designers also complete school to become architects as well. An Interior Designer may wish to specialize in a particular type of interior design in order to develop technical knowledge specific to that area. Types of interior design include residential design, commercial design, universal design, exhibition design, spatial branding, etc. 35 Incredible Rooms Featured in T 2016 - The New York Times. a beginner’s guide to decorating your home - The New York Times. A Minimalist Architect’s Surprisingly Vibrant Tuscan Home - The New York Times. A modern classic: inside the extraordinary Essex home of architect Scott Kyson - The Telegraph. A rare London apartment designed according to vastu shastra, the Indian feng shui, is on the market - The Telegraph. 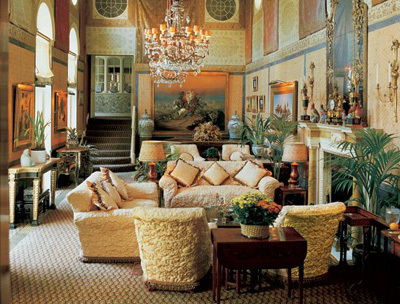 Alberto Pinto - "The Moroccan-Argentine designer made Oriental interiors a global fad." American Renaissance - the period from 1876 to 1917. Ann Getty: Interior Style - "The first-ever compilation of the luxurious interiors from the influential designer and philanthropist Ann Getty." Ann Getty’s Exotic Interiors - Sotheby's. Ann Getty’s San Francisco Home - Harper's Bazaar. Are these the world's most beautiful interiors? - The Telegraph. Artists in residence: the best interior architects for one-off homes - The Telegraph. best interior architects for one-off homes - The Telegraph. Bill Willis - "An extraordinary account and rendition of the work of Bill Willis, architect and interior designer who specialized in Moroccan decor." Blackman Cruz: Rebels of the Design World - The New York Times. Christopher Gibbs, Avatar of ‘Swinging London,’ Dies at 80 - The New York Times. CONTEMPORIST - launched 2007. "Daily source for architects and interior designers to discover new products and projects in the world of contemporary design." DEZEEN - "Our mission is simple: to bring you a carefully edited selection of the best architecture, design and interiors projects from around the world before anyone else." Elements of Style: Designing a Home & a Life - Amazon.com. Feng shui - Chinese metaphysical and quasi-philosophical system that seeks to harmonize individuals with their surrounding environment. Francois Catroux - Amazon.com. This first volume on François Catroux is a comprehensive consideration of the work and life of an international master of interior design. 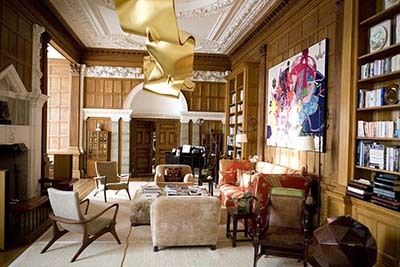 François Catroux is an innovator and explorer in interior design, who has always been a master of contemporary style. GOÛT ROTHSCHILD - describes a detailed, elaborate style of interior decoration and living which had its origin in France, Britain, and Germany during the nineteenth century, when the rich, famous, and powerful Rothschild dynasty was at its height. Grosvenor Square's return to glory - The Telegraph. Hollywood Regency - design style that describes both interior design and landscape architecture characterized by the bold use of color and contrast often with metallic and glass accents meant to signify both opulence and comfort. How Much Does It Cost to Hire an Interior Designer? - "Interior designers may charge hourly rates, flat fees, cost-plus or a combination. Here’s what that means for you." How to Decorate Your Home - The New York Times. How to Furnish Your Terrace or Backyard - The New York Times. How to get the stained glass look in your own home - The Telegraph. How to Make a 3-D Model of Your Home Renovation Vision - "Before you get out the hardware, use software like free floor-plan apps and augmented-reality tools to sketch out the ideas for your remodeling projects." How to Protect Your Smart Home From Hackers - "Smart home devices can make life more convenient, but may put you at risk of being hacked. Ensure your safety with a few simple measures." IIDA | INTERNATIONAL INTERIOR DESIGN ASSOCIATION - founded in 1994. Professional networking and educational association of 13,000 members worldwide. In One Avid Collector’s Home, a World of Wonder - The New York Times. Inside the Parisian Apartment Where It’s Always 1969 - "The musician Nicolas Godin, one half of the indie-electro band Air, has recreated the sort of bourgeois, moody interiors he knew as a child." INTERIOR DESIGN Awards | IDA - since 2007. "The Oscars of the Interior Design World." Interior Design, Front & Center - "Hiring a high-profile architect used to be all it took to sell a new building. But now buyers want to see the interiors fully designed, as well." Interior Design Risks Worth Taking - The New York Times. Jean-Michel Frank - (1895-1941). 1000+ images about Jean Michel Frank on Pinterest. Living in Color - "Interior paint is not just decorative - it can affect your quality of life." Million Dollar Decorators - (2011-2013). American reality television series. Follows interior designers Martyn Lawrence Bullard, Kathryn Ireland, Jeffrey Alan Marks, and Mary McDonald who take on A-list clientele and attempt to keep up in the stressful design industry. Nicky Haslam's Folly De Grandeur: Romance and Revival in an English Country House - Amazon.com. Pierre BergÉ's treasured belongings up for auction - 'A man of sublime taste'. Remembering the Marvelous, Maddening Mario Buatta - "Under all that colorful chintz there were some serious dust bunnies, but also a lot of laughs." Show & teal: how an artist filled her London flat with colour - The Guardian. The Aesthete: Looking at the legacy of interior designer Bill Willis - Architectural Digest. The Decoration of Houses by Edith Wharton - the goundbreaking interior design bible. The Lives They Lived: The Rooms They Left Behind - The New York Times. 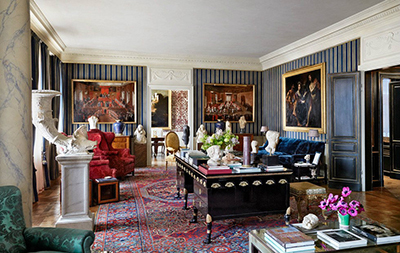 The Secrets of FranÇois Catroux - "The Über-Rich’s Favorite Interior Designer." Vastu shastra - traditional Hindu system of architecture which literally translates to "science of architecture." These are texts found on the Indian subcontinent that describe principles of design, layout, measurements, ground preparation, space arrangement and spatial geometry. Vogue Living: Houses, Gardens, People - Amazon.com. ACHILLE SALVAGNI ARCHITETTI - architecture and design firm, based in Rome, specializing in luxury residential projects and interior yacht design. Adam Lay Studio - since 2003. "Exclusive Superyacht Design." Adam Lay Studio is a design company that excels in the design of custom one-off superyacht interiors that have a special place in the hearts of their enthusiast owners. AEDAS - "Our chartered Interior designers provide services to many sectors which include space analysis, space planning, interior design, concept design, bespoke furniture design, refurbishment and new build installation design." ALBERTO PINTO - (1945–2012). Was a photographer and interior designer based in Paris. He designed the interiors of apartments, corporations, hotels, yachts, and jets. Angelo Donghia - (1935–1985). Was an American interior designer. Known as 'the Saint Laurent of sofas'. Donghia’s design philosophy, a less is more approach, extended to all his projects. His trademarks included the use of silver gray, often through gray flannel, an attention to ceilings and “fat” furniture. ANN GETTY & Associates - Interior design. ANOUSKA HEMPEL DESIGN - luxury hotels, restaurants, private villas and yachts. ANTONIO CITTERIO - "Italian multi-disciplinary design practice founded by Antonio Citterio and Patricia Viel, working in the fields of Architectural, Interior and Urban Design." 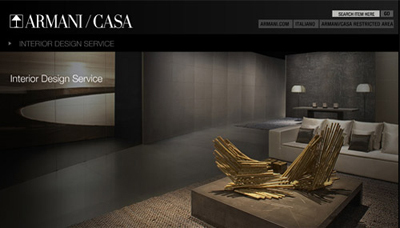 ARMANI / CASA INTERIOR DESIGN SERVICE - Giorgio Armani's interior design service. Atelier Nini Andrade Silva - since 2000. "I don't follow trends... I seek to create them!" The services offered by the company consist in extensive experience in Interior Architecture, Interior Design, Furniture Design and Consulting covering different areas such as: Offices | Residential | Retail | Hospitality | Exhibition Stands | Food and Beverage | Institutional. The designs are tailored bearing in mind each project’s functional, financial and aesthetic needs. AXEL VERVOORDT - "Devoted to the creation of spaces and environments tha feel like home. Arts and antiques are at the heart of every interior we create, revealing their essence and beauty in the everyday." BANNENBERG & ROWELL DESIGN - award winning interior yacht design. BARD DESIGN GROUP - yacht and residential interiors. BDP - "Creating Places for People." BILL AMBERG - "We offer a bespoke service for interior design using leather, whether it be a private residence, commercial property, aeroplane or yacht. Creating leather walls, furniture and features for an interior or exterior space." Bill Willis - (1937–2009). One of the most influential interior designers of the XXI century. 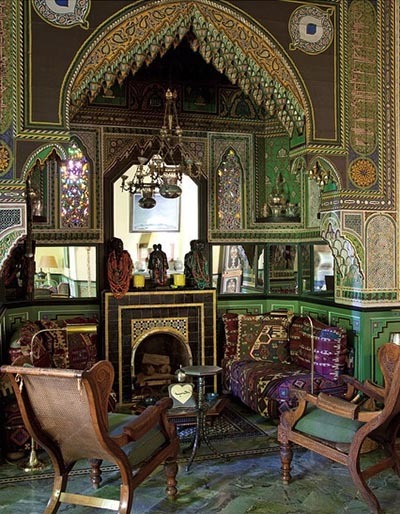 He’s certainly the father of Moroccan style interior design. BOTTEGA VENETA - "Through the years, Bottega Veneta has engaged and partnered with companies who share the brand's values of exceptional quality, service and exclusivity, as well as a deep respect for the particular culture and sensibility of the location - with the result always being an inspired collaboration." 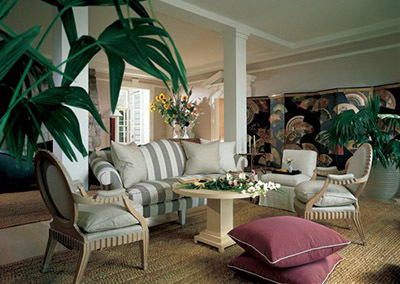 Carolyn Parker Interior Design - "Carolyn Parker can transform your home." Charles Allom - (1865–1947). 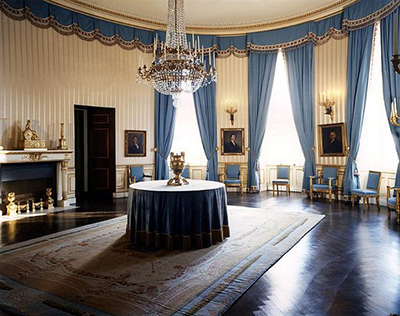 Was an eminent English decorator, trained as an architect and knighted for his work on Buckingham Palace. CHRISTIAN LIAIGRE - since 1985. Over the last twenty-five years, Christian Liaigre has made himself known by his refined, high quality work. His mastery and perfectionism convinced a number of customers, some of them quite prominent, to entrust him with the interior design of their homes, which enabled his design studio to become well known internationally. The arrival of the Edmond de Rothschild Capital Partners Company in 2009, far from altering the company’s image, aims to keep it thriving. Christophe Leoni - French interior designer responsible for the sophisticated and luxurious interior in Empire style of the newly launched (April 5, 2013) world's largest yacht M/Y Azzam. Claudette Bonville Associates - since 1987. "Contemporary, Transitional. Traditional." From modern minimalist to classic reinterpreted, we provide expertise in every style. Full service interior design firm serving the yachting industry. Clifton Interiors - "Situated in London’s Primrose Hill, Clifton offer a comprehensive design service, incorporating all aspects of interior architecture, lighting design, spacial planning, procurement, build and decoration as well as landscape and garden design." CLIVE CHRISTIAN - "Established as the considered purchase for luxury residences worldwide Clive Christian's timeless furniture is designed for every room in your home." cogemad - "For over 25 years COGEMAD has been creating living spaces for clients who are connoisseurs of taste, luxury and refinement." CONRAN & PARTNERS - Sir Terence Orby Conran, English designer. COSTAS KONDYLIS DESIGN - New York architectural firm specializing in modern hi-rise residential style architecture and custom interior design. DALTON DESIGNS - "Dalton Designs has, for years, provided attentive interior design services for yacht and residential clients nationally and internationally." 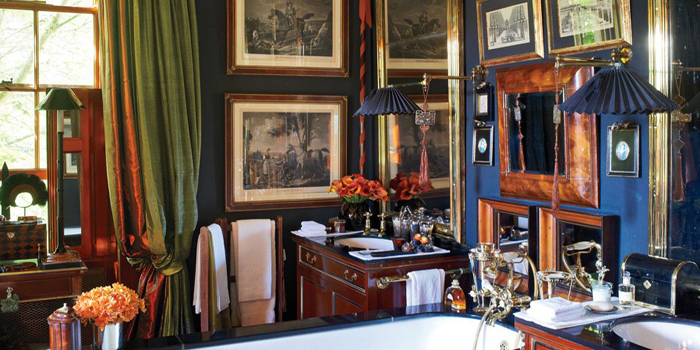 DAVID COLLINS STUDIO - the designer behind some of the world's most iconic interiors. DAVID HICKS - English interior decorator and designer, noted for using bold colours, mixing antique and modern furnishings, and contemporary art for his famous clientele. DAVID LINLEY - Commercial Interior Design & Residential Interior Design. A comprehensive bespoke interior design service incorporating LINLEY creations alongside products sourced from elsewhere. David Mlinaric - British interior decorator of Slovenian descent. His work ranges from commissions for private clients including Lord Rothschild and Mick Jagger to public galleries and museums – the National Gallery, London, the National Portrait Gallery, London and Victoria and Albert museum among them – as well as many buildings belonging to the National Trust. 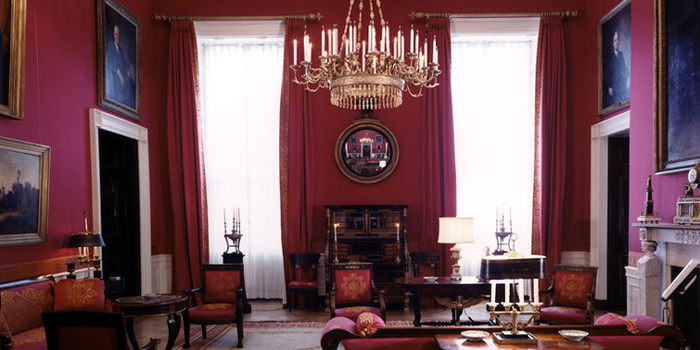 He has designed or decorated interiors from all over the world, including the Royal Opera House, Covent Garden, houses and flats in England, Ireland and the United States, Italy, Corfu, and Mustique, and the British Embassies in Washington and Paris. de le Cuona - since 1992. "de Le Cuona offers a full interior furnishings service ranging from curtains and cushions, throws and bedspreads to upholstery and walling created in its exquisite and extensive fabric collections considered to be the finest in the world." DENNING & FOURCADE - (1960-2006). Interior design firm which for over forty years was a leader in opulent interiors with offices in New York City and Paris. They are known for their "Proust-must-have-slept-here settings for a clientele with anything but American tastes.". DESIGN STUDIO SPADOLINI - award-winning exterior and interior yacht design studio. DEUTSCHE WERKSTÄTTEN (German Workshops) - founded in 1898 by Karl Schmidt. Leading international companies in the market of bespoke interior furnishings. The company’s core areas of expertise are the interior furnishings of private holdings such as mansions, exclusive apartments and superyachts, commercial buildings including executive floors, luxury shops, restaurants and hotels, and public buildings ranging from government and parliament buildings to museums, theatres and concert halls. DIDIER GOMEZ - since 1985. "His expertise is highly acclaimed. Winner of numerous design awards, he has designed boutiques, large stores, restaurants, hotels, apartments, houses and head offices all over the world. The quality of his work speaks for itself, with clients including Yves Saint-Laurent, Pierre Bergé, Carrousel du Louvre, LVMH, Bernard Arnault, Céline, Louis Vuitton, Galeries Lafayette, Vivendi Universal, Kenzo, Christian Dior, Pomelato, De Beers and L'Oréal." DONALD STARKEY DESIGNS - since 1989 Donald Starkey's recognised expertise is in the planning, styling and interior design of large motor yachts. Dorothy Draper - (1889-1969). Was an American interior decorator. Stylistically very anti-minimalist, she would use bright, exuberant colors and large prints that would encompass whole walls. She incorporated black and white tiles, rococo scrollwork, and baroque plasterwork, design elements now considered definitive of the Hollywood Regency style of interior decoration. EIDSGAARD DESIGN - yacht interiors. Elsie de Wolfe | Lady Mendl - (1865-1950). 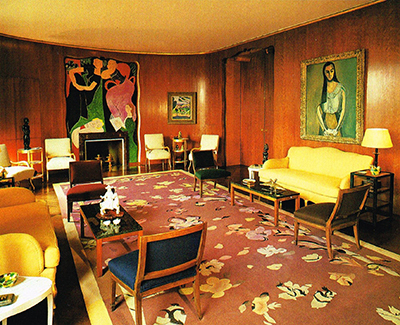 "Interior Design as a profession was invented by Elsie de Wolfe." - The New Yorker. Emilio Terry - (1890-1969). Cuban artist, interior designer, artist and landscape artist, best known for his career in France. Creating furniture, tapisteries and objets d'art, he was influenced by the château de Chenonceau, acquired by his family, and he created a style that was at once classical and baroque, which he called the "Louis XIX style". Espen Øino International - interior designer, yacht designer, naval architecht. EVITAVONNI - "The Lifestyle Gallery. 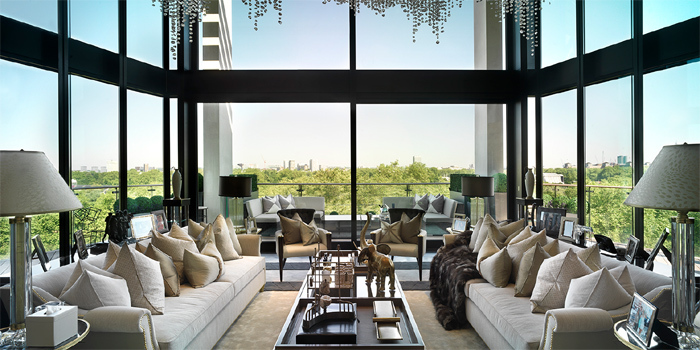 As specialists in luxury interiors, we offer exclusive design for any room in your home." Faye Toogood - "London-based furniture designer specialising in Limited and Unlimited Edition furniture for galleries & private clients." Finchatton - "Luxury Interior Design | London." Finchatton was founded in 2001 to create the most exceptional homes in the world. Today, after over a decade at the pinnacle of luxury property design and development, Finchatton remains dedicated to pushing the boundaries of ever greater excellence and innovation. Internationally, Finchatton has completed projects in some of the finest addresses around the world. These include a lateral apartment on Lake Lugano, a second home in St Tropez, and private homes in Los Angeles and Maine. FIRST IMPRESSIONS THEME THEATRES - private digital cinema interiors. FOSTER + PARTNERS - Workplace Consultancy analyses how architecture and interiors can be designed to most effectively match the needs and aspirations of occupants and users. FranÇois Catroux - has been at the forefront of French style for decades. His client list is not the longest, but it is one of the best in the business. 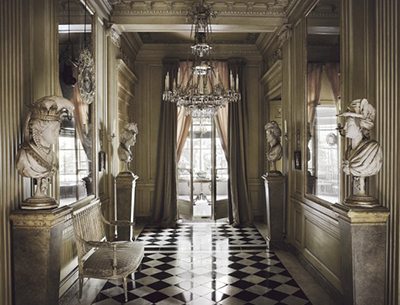 FranÇois Joseph Graf - one of the best interior designers of the world. Famboyant, humanist extravagant who has already enjoyed an extraordinary career: an architect, a powerful, recognized patron, a world-renowned interior decorator and designer and a scholarly aesthete who loves French luxury and lives art as a vocation, with generosity, rigour and talent. Fratelli Basile Interiors - "Interior design solutions since 1830." GENSLER INTERIOR DESIGN - "As architects, designers, planners and consultants, we partner with our clients on some 3,000 projects every year. These projects can be as small as a wine label or as large as a new urban district. With more than 3,500 professionals networked across 42 locations, we serve our clients as trusted advisors, combining localized expertise with global perspective wherever new opportunities arise." GEOMETRIX DESIGN - Moscow, Russia. Put emphasis on conceptual geometry, whimsical shapes and exciting volume. "We design: apartments and private residences, offices and bars, restaurants and cafes, lofts and penthouses. You'd expect us to have seen it all, but every day we discover new aspects of our work." Georges Geffroy - (1903-1971). "du Geffroy". GETTY IMAGES GALLERY - "Great images can bring any home, office or retail space to life. Whether you are refurbishing a hotel, bar, restaurant or boardroom, the Getty Images Gallery offers a totally bespoke and comprehensive service that can assist you with any project, large or small." GILLES & BOISSIER - concept architectural and interior design. GLADE JOHNSON DESIGN - serving the unique needs of the transportation industry, especially of custom motor and sailing yachts. We specialize in the inception, development and completion of interior and exterior concept designs, ranging from a solely conceptual package to a totally integrated living environment with touches like custom art, crystal, and dinnerware. Hans Makart - (1840-1884). 19th-century Austrian academic history painter, designer, and decorator; most well known for his influence on Gustav Klimt and other Austrian artists, but in his own era considered an important artist himself and a celebrity figure in the high culture of Vienna, attended with almost cult-like adulation. Henri Samuel - one of the all-time design greats, having created interiors that were, and still are, the epitome of French chic. INSTONE DESIGNS - bespoke furniture and interior design. Iris Apfel - American businesswoman, interior designer, and fashion icon. 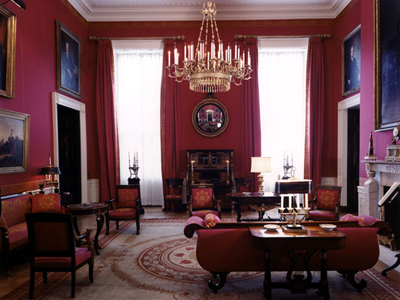 From 1950 to 1992, Iris Apfel took part in several design restoration projects, including work at the White House for nine presidents: Truman, Eisenhower, Kennedy, Johnson, Nixon, Ford, Carter, Reagan, and Clinton. Jacques Grange - "Long a reigning star in France, interior designer extraordinaire Jacques Grange counts Yves Saint Laurent, Aerin Lauder, Princess Caroline of Monaco & Francis Ford Coppola - just to name a few - among his star-studded clients." 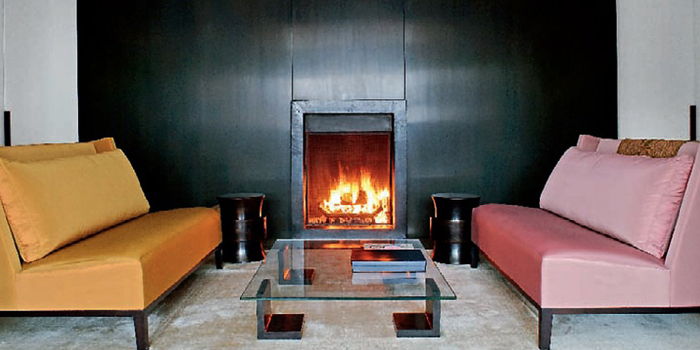 JASPER CONRAN - fireplaces, interiors and furnishing for the home. Jean-Michel Frank - (1895-1941). 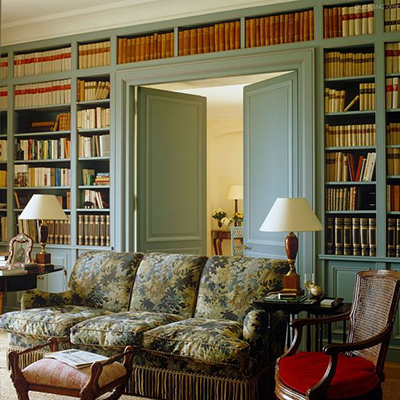 French interior designer known for minimalist interiors decorated with plain-lined but sumptuous furniture made of luxury materials, such as shagreen, mica, and intricate straw marquetry. JEAN-PHILIPPE NUEL - architecture and interior design. JEFFREY BEERS INTERNATIONAL | JBI - "For over twenty years, JBI has advanced the hospitality and retail industry by pushing boundaries and creating endlessly alluring spaces for our exceptional clients." JONATHAN QUINN BARNETT | JQB - established in 1995. For over ten years, the award-winning design studio has provided exterior and interior design services for challenging yacht projects ranging in size from 50 feet to well over 400 feet in length. Over the last five years, JQB Ltd has added land-based design services to its portfolio. Joseph Urban - (1872-1933). Was an Austrian-American architect, illustrator, scenic designer and interior designer. KATHARINE POOLEY - London, U.K.
KEN FREIVOKH DESIGN - "Superyacht stylists architects and interior designers." LAURA ASHLEY - interior design service. LAURA KIRAR * DESIGN - founded 1999. Synonymous with quiet luxury, exquisite product and elegantly refined interiors. LM PAGANO DESIGN - has decorated numerous homes for Nicolas Cage and Johnny Depp’s yacht VaJoLiRoJa. LIAIGRE - interior architecture and design according to Liaigre, are far from fashion and trends but synonym to timelessness, calm beauty and subtle luxury. 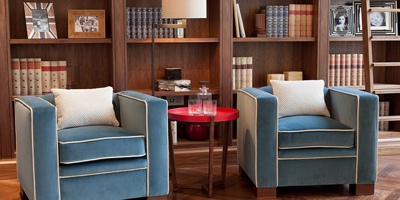 LINLEY - Commercial Interior Design & Residential Interior Design. A comprehensive bespoke interior design service incorporating LINLEY creations alongside products sourced from elsewhere. LUCY ALEXANDRA BATT - "Private commissions taken for interior projects." Maison Jansen - (1880-1989). Paris-based interior decoration office founded in 1880 by Dutch-born Jean-Henri Jansen and continuing in practice until 1989. Jansen is considered the first truly global design firm, serving clients in Europe, Latin America, North America and the Middle East by 1900. Clients included the Kennedy White House, Coco Chanel, the Rockefellers, King Leopold II of Belgium, and the Shah of Iran. Maison Jansen was also one of the leading companies whose designs came close to the "GOÛT ROTHSCHILD", though in a less opulent way. March & White - "Curators of Style." MARK CUTLER DESIGN - "Creating style for life." Mark Hampton Interior Design - founded in 1976. MARK HUMPHREY LTD. - studio of art, design and innovation: Objects and spaces created using the MH philosophy code 'the art of beautiful design'. MARTIN BRUDNIZKI DESIGN STUDIO - since 2000. 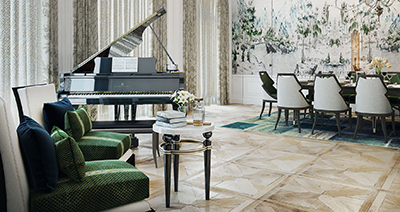 "Known for bringing a lived-in-luxurious feel to high-glamour projects, MBDS is responsible for designing some of the world’s most celebrated interiors, including The Ivy, Soho Beach House Miami, Scott’s and Cecconi’s West Hollywood and has received notable recognition, including accolades from Wallpaper, Tatler, Harper’s Bazaar and the European Hotel Design Awards." 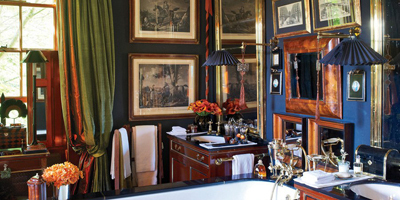 Martyn Lawrence Bullard - illustrious, award winning interior designer known for his glamorous and worldly interiors. His global visionary point-of-view of making homes luxurious sanctuaries has made him an arbiter of taste whose larger than life client list includes Cher, Sir Elton John and David Furnish, Christina Aguilera, Eva Mendes, Ellen Pompeo, Kid Rock, Sharon and Ozzy Osbourne and Tamara Mellon, founder and President of Jimmy Choo. Matthew Williamson - since 1997. "Internationally renowned for his signature aesthetic; a master of print, embellishment, attention to detail and kaleidoscopic colour. His collections reflect a refined yet spirited sense of glamour inspired by global and artistic influences." Max Rollitt - since 2006. "An eye for scale and proportion, and an in-depth knowledge of historical interiors, ensure that a room by Max Rollitt will look and feel right from its architectural bones to the placing of pictures on the walls. His appreciation of the fabric of old buildings means that Max will always attend to the framework of a room - its flooring, fireplace, cornicing - before turning his attention to fabrics and furnishings." McMillen Inc. - "We are a full-service interior design firm which has been in business continuously since 1924. We like to think that to be a client of McMillen is to be a part of design history." MELTONS - undertakes residential and commercial contracts of all sizes in the United Kingdom and internationally. MICHELA REVERBERI INTERIOR - high profile architect studio engaged in yacthing and residential interior design. MICHAEL LEACH DESIGN - yacht interiors. 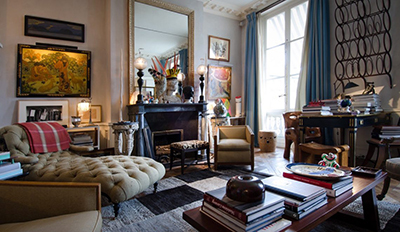 MIS EN DEMEURE - French interior decor company established in 1993. Nancy Lancaster - (1897-1994). 20th-century tastemaker and the owner of Sibyl Colefax & John Fowler, an influential British decorating firm that codified what is known as the English country-house look. NH Design by Nicky Haslam - "Leading British Interior Design Firm." Nicholas Haslam Ltd - was established in 1980, covering both retail and interior design. Paolo Moschino took ownership of the company in 1995. Nicky Haslam - English interior designer and socialite, and founder of the London-based interior design firm, NH Studio Ltd.
NUVOLARI-LENARD - Italian superyacht and megayacht (exterior & interior) designers. OCCA-HOME - professional interior designed rooms online. Ogden Codman, Jr. - (1863-1951). Was a noted American architect and interior decorator in the Beaux-Arts styles, and co-author with Edith Wharton of The Decoration of Houses (1897), which became a standard in American interior design. OMEGA ARCHITECTS - "We design not only the exterior of buildings and yachts, but also their interiors. Because we believe that a strong unity of exterior and interior creates the distinction between merely functional design and high quality design that is both functional and aesthetic." PAULINE NUNNS - Chartered Architect and Interior Designer, formed P.M.Nunns Associates in 1978, initially to work on the creation and design of new buildings and the alteration and restoration of great historic houses and interiors, subsequently extending her services to design superyacht and luxury yacht interiors. PEGASUS DESIGN - private jets interiors. PETER MARINO ARCHITECT - founded in 1978. Based in New York City. He is widely known for his residential and retail designs for the most iconic names in the fashion and art worlds. PHILIPPE STARCK - probably the best known designer in the New Design style. His designs range from interior designs to mass produced consumer goods such as toothbrushes, chairs, and even houses. 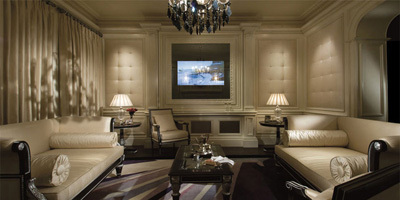 PIERRE-YVES ROCHON | PYR - world-renowned for its award-winning luxury hospitality interior environments. PORTA BELLA - Elaine Culotti. REDMAN WHITELEY DIXON | RWD - "We create gracious living spaces in which every last detail is carefully planned to perform in balanced harmony within the yacht." RÉMI TESSIER - yacht and residential interiors. Renzo Mongiardino - (1916-1998). Italy's grand illusionist raised atmosphere to an art form. Often referred to as the greatest designer of the twentieth century. REYMOND LANGTON DESIGN - highly experienced and professional London based design studio, focusing on the conception, exterior and interior styling, planning, furnishing and project management of the world’s finest superyachts. RHOADES YOUNG DESIGN - interior yacht designers for sailing yachts and motor yachts, classic and contemporary, creative yet considered. Richard L. Ridge & Roderick R. Denault - 903 Park Avenue, New York, NY 10021. Highly regarded by a devoted group of well-heeled, established clients for creating elegant, traditional interiors with an emphasis on clear colors and comfort. Historically, their focus was more English with horse prints and Georgian silver, but they have recently forayed into more contemporary designs. RMJM - "People Process Projects. RMJM’s Interior Design Studio transforms strategic goals into physical realities." Robert Couturier - "Robert Couturier made design history in 1987 when the billionaire financier Sir James Goldsmith, who could have engaged any architect and decorator in the known world to do his bidding, followed his legendary instincts and entrusted the 32-year-old Couturier with what would amount to the single greatest private commission of modern times: the re-conception, execution, and continuous embellisment – down to the last gilded detail – of Goldsmith’s 20,000-acre kingdom on the Pacific Coast of Mexico. Two decades later, the New York-based Couturier maintains his place at the top of his profession, continuing to execute grand-scale commissions in the U.S., Europe, South America, and Russia." ROBERT DENNING - (1927-2005). American interior designer whose lush interpretations of French Victorian decor became an emblem of corporate raider tastes in the 1980s. 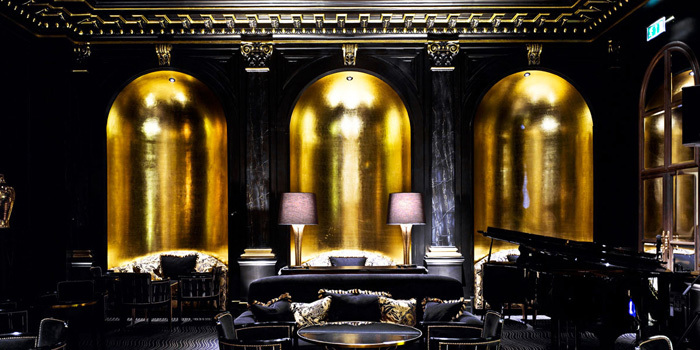 Known for colorful extravagance and over the top opulence. RTKL - interior architecture & design. Rue Monsieur Paris - since 2012. "French luxury furniture company looking for a new art of fine living in which elegance and simplicity of forms predominate." Salvagni Architetti - custom home & yacht interiors. SCHOPFER ASSOCIATES - hotels & resorts, restaurant/entertainment and residential. Sibyl Colefax & John Fowler - "Established in the 1930’s and by the second half of the 20th century had gained its reputation as the foremost traditional English decorating firm, synonymous with country house style." SINNEX | STEINHEIMER - "We outfit opera houses and concert halls, community centres, luxury yachts, boardrooms and other prestige facilities. Our range of services also encompasses banks, insurance companies, restaurants, private residences and hotels. SINOT YACHT DESIGN - exclusive yacht interiors. SnØhetta - since 1987. Integrated design practice of architecture, landscape, interiors, furniture, graphic and brand design, with offices in Oslo, Norway, and New York, U.S.A.
STEFANO RICCI - luxury home design. STEFANO RICCI - yacht interiors. An unmistakable style, made possible by the Florentine House's craftsmanship according to their design codes: Californian briar-root, Tuscan travertine and crocodile skin. Studio Peregalli - "Old World Traditions Live On." Milan Interiors Firm Studio: Decorator Roberto Peregalli and architect Laura Sartori Rimini are renowned for their ability to work in seemingly every historical style, conjuring grand spaces that look centuries old. Studio Putman - created by French interior designer AndrÉe Putman who fashioned subdued, influential spaces for Karl Lagerfeld, Yves Saint Laurent, Barneys and Air France's Concorde jet. Studio Sofield - "A Modernist by temperament and a Historicist by training, William Sofield believes that design must live as well as it looks. His work is characterized by a holistic approach to design that encompasses the requirements of living and a response to locale. Overall, Studio Sofield employs over thirty-five designers, with experience in disciplines including industrial, graphic and landscape design. The Studio’s expertise is applied to a range of services, from homes and shops, and clubs and hotels, to furniture and fixtures, and exhibition design." Syrie Maugham - (1879-1955). Was a leading British interior decorator of the 1920s and 1930s and best known for popularizing rooms decorated entirely in shades of white. TERENCE DISDALE DESIGN - "Creators of distinguished yachts & jets." Tessa Kennedy - British interior designer, whose clients include multi-national corporations, royalty, celebrities and many European hotels, restaurants and clubs. THOMAS JUUL-HANSEN - creates sophisticated modern luxury. 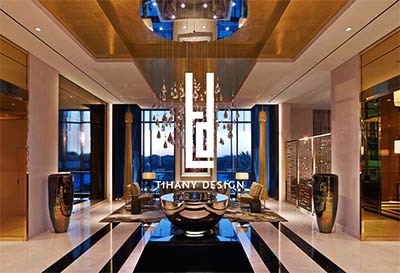 Tihany Design - founded in 1978, by designer Adam D. Tihany. 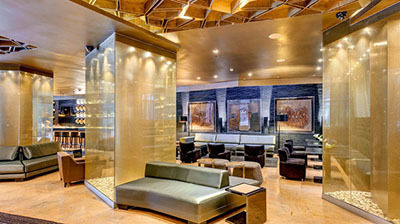 Internationally renowned hospitality designer based in New York. He founded multidisciplinary design firm Tihany Design in 1978, and is considered the originator of the title ‘restaurant designer.’ His firm has created hotel and dining properties acclaimed for their luxury and innovation at some of the most iconic properties in the world. Tihany was named one of the greatest American interior architects by The New York Times in 2001. In the restaurant industry, he was one of the first designers to collaborate with acclaimed culinary stars such as Thomas Keller, Daniel Boulud, Jean-Georges Vongerichten, Charlie Palmer, Heston Blumenthal, Paul Bocuse, and Pierre Gagnaire. Tihany has created several restaurants for Chef Thomas Keller, including the celebrated Per Se and Bouchon restaurants, as well as recently opened The Grill on Seabourn Quest. He worked extensively with the Maccioni family, collaborating on eight projects including Le Cirque 2000, Osteria del Circo and the contemporary Italian restaurant, Sirio. Chef Daniel Boulud and the designer have created three restaurants together, including Boulud’s flagship, Daniel, in New York City. Todhunter Earle Interiors - since 1998. "Projects range from English country houses to well known restaurants, ocean-going yachts, nightclubs, 5 star hotels, ski chalets and beautiful homes worldwide." TRIMLINE INTERIORS - marine, superyacht, office, retail and leisure interior outfitting. William Haines - located in Los Angeles, California is carrying on the Haines legacy known as Hollywood Glamour. WOODSON AND RUMMERFIELD - "House of Design". WÜRZBURGER WERKSTÄTTEN - yacht and private home interiors. YVES DELORME - "YVES DELORME partners with MIS EN DEMEURE to introduce a new lifestyle concept store for the home: Our new French style home!"